We use a five step process to help our clients successfully reach their goals by discovering their current financial situation, evaluating their options, planning their moves, taking action and reviewing. We clarify your objectives and uncover your fears. While designing a plan, we recommend appropriate investments and strategies. Once we take action, we regularly review to measure success. As time passes, we revise goals and adjust accordingly. We create confidence in your ability to meet your goals. Some of us spend years working hard and raising families only to find ourselves unprepared for the next goal. We challenge our clients for honest answers to the hard questions that uncover their financial fears, such as:. 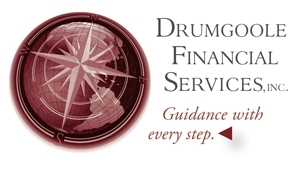 Drumgoole Financial helps families face their fears and overcome them. There are inevitable life events that can threaten what your family needs, things such as: job loss, serious illness, disability, divorce, caring for an aging parent or a death in the family. What’s more important than planning for your goals is being financially prepared for when the unexpected happens. You will want to have someone experienced on your team that already knows you and your family. We stand with our clients and help them face these challenges.